Rugby supporters flocked to fan zones located in and around host cities. 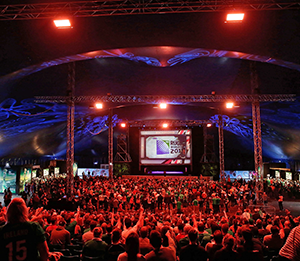 Fan zones offered large screens and seating. With World Rugby’s announcement that the Rugby World Cup (RWC) 2015 was the biggest and best tournament to date, it is not surprising that the next host, Japan, is keen to lap up tips for success. According to Bernard Lapasset, chairman, “England 2015 has been the most competitive, best-attended, most-watched, most socially engaged, most commercially successful Rugby World Cup” so far, with an “amazing atmosphere in full and vibrant stadia” and “excitement around the host nation and in Cardiff”. 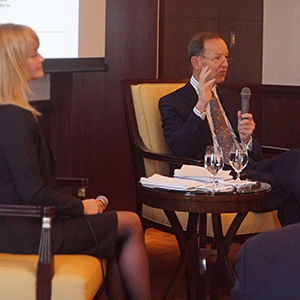 In February, Neil Snowball, chief operating officer of RWC 2015, shared his team’s insights while visiting Tokyo to conduct the formal hand-over from England to Japan. 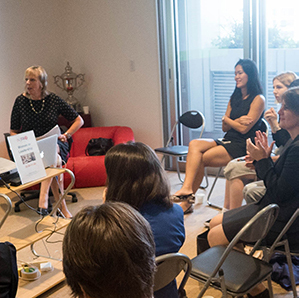 For Snowball, who was among those kicking off the Webb Ellis Cup’s international tour at the British Embassy Tokyo two years ago, and credits the Japan rugby team with “setting the [RWC 2015] tournament alight”, Japan is a special place to be. 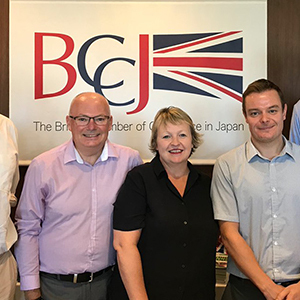 “Being here brings it home what an unbelievable time you have ahead of you”, he told an audience at the British Chamber of Commerce in Japan (BCCJ) event, “Rugby World Cup—The Community Legacy”. And, while he admitted that it would not be easy to host the tournament in 2019 with the Tokyo Olympic and Paralympic Games to be held the following year, he said the opportunities are extensive. According to Snowball, some of England’s success can be attributed to the know-how gleaned from London 2012 and the Glasgow 2014 Commonwealth Games: “We were able to hoover up a lot of that experience and talent”, he said. “But doing it the other way around here, will be a challenge. “Get people with event experience—it doesn’t matter what nationality they are—otherwise it could be a long and painful journey, and the event itself may not be as good as it could be”, he said, adding that it is necessary to have “a very clear vision” about what the event is about. 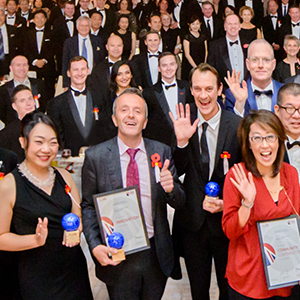 For RWC 2015 organisers, the answer was community. As the 13 venues were spread geographically, there were more opportunities for local people to attend matches. Moreover, matches were allocated to the venue and the city. Fan zones, which drew 1.5mn people, were then set up in and around those cities. Speaking of the fan zones, Snowball said, “when you arrive in the city, you feel it is embracing the world cup; it is not just about what is happening in the venue”. As Japan’s cities and prefectures own the venues, he added, organisers are in a stronger position than was England to adopt this practice. Doing so requires community activation, which England achieved in three ways. First was the domestic trophy tour that involved guest appearances in schools, universities and rugby clubs. “[The Webb Ellis Trophy] is such a beautiful object, and people want to be seen with it”, he said. “It was the selfie of 2015”. Second was a volunteer network that gives back to the community. While organisers could have simply drawn on the database of London 2012 volunteers, it was planned that volunteers at local rugby clubs would make up 75% of the 6,000 people required—and that goal was nearly reached. “We wanted to reward the people who commit time and effort to their rugby clubs every weekend”, he said. These people provided support at train stations and on walking routes, as well as in logistics, accreditation and delivery roles. Third, organisers created the Festival of Rugby: a community brand that touched 1mn people across the UK through a range of events, from car boot sales and bake offs to mini rugby tournaments and group match-viewings. The organisers’ efforts, however, were not solely on engagement before and during the tournament, said Snowball. Before he took up his role in 2012, the Rugby Football Union—the governing body for rugby union in England—had established legacy plans. 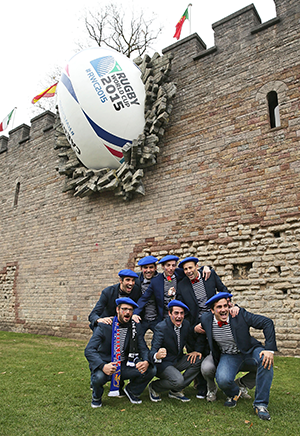 A giant rugby ball in the wall of Cardiff Castle attracted fans. An All Schools programme—delivered by real estate and investment services firm CBRE; rugby kit supplier Canterbury; and Gilbert, the firm that created the official ball of RWC 2015—introduced rugby to 750 schools in England. A Back to Rugby programme targeted 16–24 year olds who had once played the sport but had given up. O2, a communications firm, supported a programme for touch rugby that, according to Snowball, is “a great way of keeping people involved in the game”. After the tournament, the equipment used was distributed by the British Army to 1,500 clubs in England and Wales. 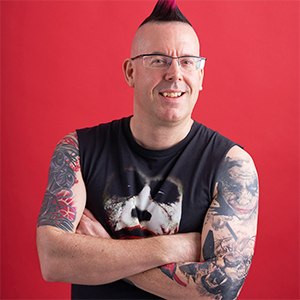 “I think [community] is where the BCCJ can really help: to look at what worked in the UK, to offer that advice and support, and to really make the most of the opportunities”, said Snowball. Yet, opportunities also extend to commerce, tourism and media. For example, while Birmingham normally has 10,000 visitors from South Africa in a year, the city reportedly welcomed 15,000 on the weekend of South Africa’s match there. The resulting economic impact of that weekend is estimated to have been £35mn, but indications are that this figure will be exceeded. England and Cardiff, meanwhile, welcomed 380,000 international visitors from 149 countries. While many Europeans took advantage of the transport links and came purposefully for the matches, host cities adopted the mantra that attendees should “come a day early and stay a day late, and they all worked towards that”, said Snowball. Japan, on the other hand, will have to make use of packages to attract visitors. “If [the travel firms] price it sensibly, and in a way you can follow your team, I think that would be sensational for the whole of Japan”, he added. 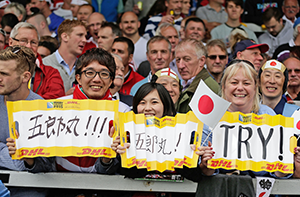 As a developing rugby nation, Japan can learn from England about how to build up excitement. RWC 2015 organisers produced videos about the sport, including one team talk that had 1.8mn online views, while ambassadors hosted events nationwide. The whole country came alive with advertising, according to Snowball, who said many business opportunities exist for firms in this area. While RWC 2015 was not able to have domestic partners, RWC 2019—along with six global partners—is likely to have “a whole raft of local partners, which will be international companies”, he said.